Interview with Karel Striegel founder of Fund Request . Fund Request is a decentralised platform to fund development and reward community contributions using the blockchain. We are currently integrating with Github and StackExchange to allow funding of issues and projects and to reward collaborators. Our end goal is to provide a support model for any community platform. On our strategic roadmap we include ticketing platforms such as Asana, Jira, Basecamp and much more. 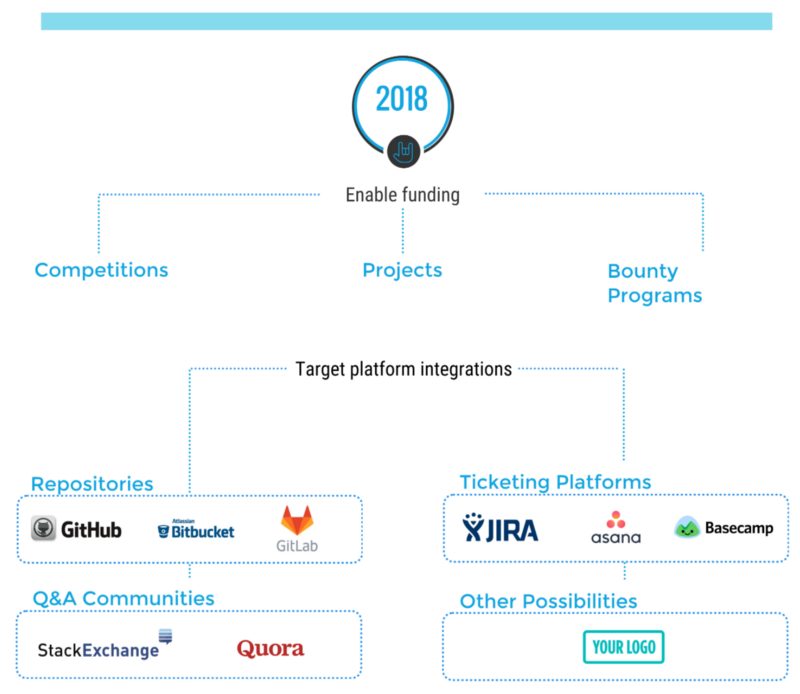 Fund Request introduces a new decentralized business support model fueled by the contributions of the open source community. Who is the team behind fund request? What is the status of the software that will power fund requests? We have recently released our first alpha version that makes it possible to fund an issue on github. You can try it out on alpha.Fund Request .io Our next minor release will make it possible to claim an issue. Our next minor release will make it possible to claim an issue. What is the role of the token in this ecosystem? or fiat, but this will internally be converted to FND using a decentralised exchange protocol like 0xProject. The more the Fund Request platform is used, the higher the value of the token will be. FND can also be used to incentivise other stakeholders within the process especially when a dispute arises. The proces of staking and earning reputation is still under internal analysis. How important has open source software become for businesses? The vast majority of companies are using open source software and major IT companies are also contributing to open source software like Microsoft, Facebook and Google. As the decentralised economy powered by blockchain technology becomes more prominent open source will become more standard. We are moving towards an economy with collaboration and co-creation in mind. What are the greatest challenges for businesses to adopt open source software? For most open source software products there is either no support model, except for voluntary community support, or there is an expensive yearly support subscription. When companies cannot afford the subscription model and they have a bug or a feature request for an open source project they can submit a ticket and if the community of the open source project is still active they might pick up the ticket. With Fund Request we offer companies and individuals the option fund the issues that are of importance to them. This way they can be sure that their tickets are addressed in a short time span without being tied to support subscriptions. Will Fund request be able to support open source software such as OpenOffice? Yes, any open source project can be funded using the Fund Request platform. Will organisations be able to support both development and support using fund request? Yes. In a first phase, we will implement funding for individual tickets either tickets for a bug or tickets for the development of a new feature. In a next phase, we will also add the possibility to have whole new projects funded via Fund Request . Will most fund request be fulfilled by individuals or organisation? Fund Request services both. We expect individuals are more likely to fund smaller issues and bugs while companies will fund larger issues and projects. Will software created/update through Fund Request remain open source? Fund Request offers a support model for receiving community collaboration for specific requests. Whether this is within open source or within an organisation is not the main point. Although we are targeting open source communities first it is not impossible to use Fund Request within a single organisation. We do support a shift towards open source whenever possible. What are the details of the ICO? We thank Karel Striegel for the interview. Previous articleBlockchain-friendly Bank Fiinu Launches Their Pre-sale Today.